Aaand we're back! Felix can't catch a break, can he? 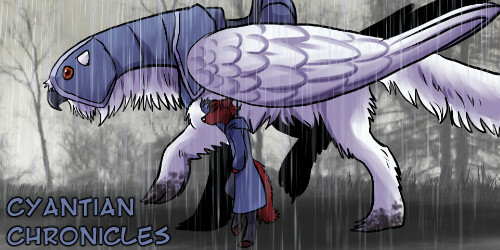 We're resuming weekly updates so look out for the next page on Tuesday. Thanks so much for all the support at SacAnime. I don't think it will ever cease to amaze me that people are willing to buy my art lol. 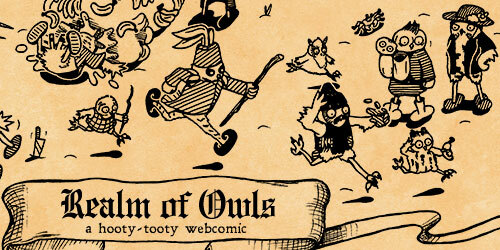 I had a lot of fun but I'm happy to be back home and working on projects again! The Cyantians are a race of uplifted creatures, created to serve a dying alien race. Abandoned on a world not their own, they're learning to make it home. 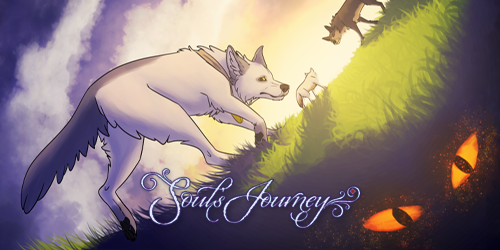 Soul's Journey - A cursed pendant turns a runaway prince into a wolf. Can he find a way back to his human form to stop the brewing war on the horizon before it's too late?